Business owners understand the importance of the value of their business. The business valuation you receive can make or break a proposition. Whether you’re negotiating a merger, considering new shareholders or attempting to resolve disputes, an objective business valuation can make the difference between loss or gain. It’s important to understand that business valuation is not an exact science. It’s and art that is based on judgement, experience and relevant information. 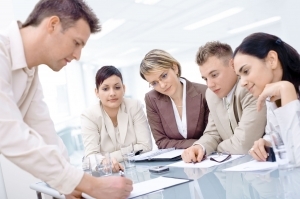 Our well-qualified professionals are experienced in evaluating all types of organizations. We perform business valuations by getting to intimately know your business and what constitutes its value. We work closely with you to analyze your operations and historical financial data. This knowledge allows us to provide a well-reasoned, fully documented and defensible valuation opinion.